During the cold winter months, many ailments may become pronounced due to the cold dry air. Even in climates where there is moisture in the outside air, the heating systems in your home and office tend to dry the interior air, which may lead to problems for many. 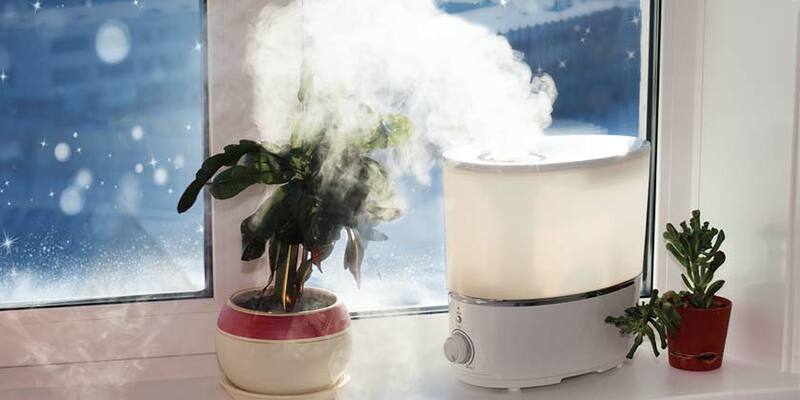 Humidifiers can be a great solution for many of these winter-related problems. Here’s seven benefits that come along with using a humidifier in your home or office during these cold, winter months. 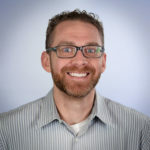 A recent study found that raising indoor humidity levels to at least 43% had a dramatic effect on approximately 85% of airborne viruses, rendering them them virtually ineffective. As a result, researchers are now contemplating increasing the humidity levels in hospitals across the nation, as an extra method of protecting doctors, nurses and visitors from also getting sick. Moisture has the ability to prevent the movement of germs, as they combine with this moisture and simply drop. This happens because the airborne particles are now too heavy to float around in the air. In turn, this helps prevent the spread of many illnesses, including influenza. This is precisely why one of the main benefits of a humidifier is increasing the overall humidity levels in a room or in a home. For those who breathe through their mouth, it is almost impossible to prevent dryness from settling in. This is especially true when you’re sleeping. By using a humidifier to add moisture to the air, you create a more favorable scenario that may help soothe the tissues at the back of your throat. Not only will this help you sleep more comfortably, it can also help cut down on your snoring. Additionally, running the humidifier throughout the day is also beneficial, as it may help your throat stay moist and prevent the irritation that is commonly associated with snoring. Because 50–60% of the human body is made of water, dry conditions may pull moisture out leaving behind dry skin, chapped lips and possibly even bloodshot eyes. Our bodies rely on the correct amount of water to feel good, not to mention function at an optimal level. Because our skin has so much surface area, it is often the place that we notice first when we are in extremely dry conditions. Lips and eyes also show irritation when not properly hydrated. Running a humidifier can help prevent your skin from drying out. The added moisture in the air may help improve your dry or itchy skin, peeling or chapped lips and dry eye irritation. 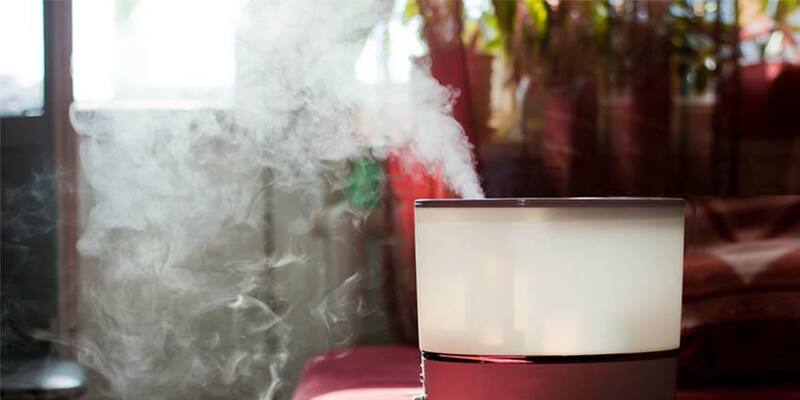 Studies have shown that humidified air may actually feel warmer than dry air. This can be attributed to the fact that with more water in the air, sweat evaporates more slowly, leaving people feeling warmer. As a result, homeowners may be able to save on their heating bills. With the warmer feel of the air, thermostats can be lowered, thus conserving energy and saving money. 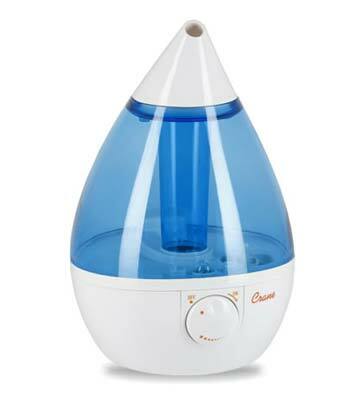 Modern humidifiers are a great way to help alleviate the symptoms of allergies. 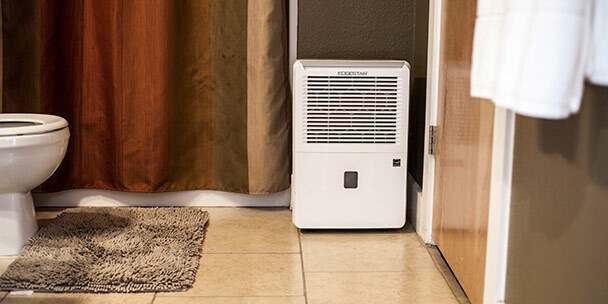 While humidifiers of the past may have put far too much humidity into the air, which could encourage the spread of house dust mites, newer models can be set to lower levels that will not create an environment that is favorable to these unwelcomed house guests. Allergy sufferers tend to feel more comfortable with heightened humidity, as it may help soothe the tissues in the throat and nasal passages. Static electricity is often increased in dry winter months. This electricity can be annoying when associated with your laundry or frizzy hair. Even worse, built up static can even damage sensitive electronics; even create sparks which could damage flammable gas or dust. Properly humidified air has the ability to limit, even prevent most problems that come from static. Dry air can also cause damage to wood furniture, drying it out and making it crack. It can loosen joints in a wood floor. Doors made of wood can change in size making them difficult to open and close, and the legs and arms on chairs may begin to wobble as the joints loosen. This is all because wood needs a constant level of moisture to be at its best. A humidifier, when used properly, can ensure that the wood features in your home and furniture will look their best. From preventing illnesses to preventing static, from helping your hair to look better to helping your wood look better, a humidifier is a tool that is very useful, especially during the dry winter months. Humidifiers may help to save money on a heating bill as well as on electronics which might have been damaged by static. Investing in a humidifier is an investment in protecting those you love, and those things you own. It is great to be able to speak with you. I live in a ground floor apartment but, it feels somewhat like a basement apartment.I just noticed lately that my worned black jeans have developed white spots all over them. Is there a health risk for me, what maybe the problem and how can I get rid of it? Thanks for your time, Joe Presley. Can Humidifiers Help With Dry Skin?